ZOPO has launched ZOPO Color X 5.5 in India. 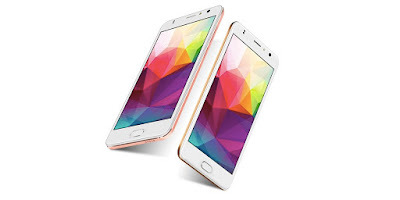 It features a 5.5-inch HD display powered by a quad-core MediaTek MT6737 with 3GB RAM and 16GB of internal storage further expandable with MicroSD card. Dual SIM device runs on Android 6.0 (Marshmallow). It also has a fingerprint sensor embedded into the home button that lets you unlock the phone in just 0.3 seconds. It has a metal back. It has “One Button Access” feature that allows you to control all the features with the touch of the home button. You can tap to unlock, one tap to go back, double tap to return to home and long-tap to open used recently used apps. It has an optional keyboard for 25 Indian regional languages. On Camera, it comes with an 8MP Rear camera with LED flash and f/2.2 aperture and 5MP front-facing camera with LED flash. Connectivity options include 4G LTE, WiFi 802.11 a/b/g/n, Bluetooth 4.0, GPS Packed with a 2500mAh battery.